Welcome to my Monday Blog, my Friends – And a special HELLO to our new friends from India and Australia. Thank you!! Actually it’s hard to believe that we’ve been sharing each others thoughts and opinions here for almost five years now—call me thrilled and humbled and I’ll call you fabulous! I’ve been so gifted with all of you—visiting me each week from all over God’s great world, has truly been a blessing and I’m so grateful. My title today is for all of us to take notice of the fact that We Are The World. Each and everyone of us who has been gifted with Life here, can make a difference – tiny but mighty in many instances. I admit that if we maintain a daily diet of the news channels, our incredible gift God created for us all can be anything but uplifting and hopeful…much more like doom and gloom, right? I too, have become almost numb to the angry rhetoric we’ve been inundated with this past year or more. This is an understatement! With over two hundred countries in the World, there may be only three or four who actually agree on more than one or two issues at a time, and I can’t prove even that. It also appears that our World Leaders cannot get along with even 50% of their own jurisdictions. The kind of world that lights us up, is no longer shining brightly for any of us. Shoot, if there was any other place to go, I’m sure many of us would have already gone “there”—I sure would! Here’s the problem: too many people believe they are calling all the shots. There are now two sides to everything (maybe even three or four) but we are split apart because we’re not willing to agree to disagree, and get on with the business of working together for the good of ALL the people, not just a few. I know the problem and there is a solution, but I fear there will be much more destruction here because not enough people believe that this World does not belong to them, but instead, to GOD. He created this World for us ALL to live in ….but sadly it will not be happily-ever-after. WE THE PEOPLE have made a gigantic mistake in recusing God from His own creation and I truly believe there will be hell to pay. I for one, will continue to pray about the enormous hate and fear now growing in God’s World. It’s hard to believe what His world has turned into, but without God, we are literally nothing and have nothing. It’s interesting how God gives us all the freedom of our own will…to make our own choices, to believe or not believe in Him. We Are The World, but the World and everything in it belongs to God and may He have mercy on us all. Amen. This entry was posted in Uncategorized on August 28, 2017 by Author Margaret McBride. Welcome to my Monday Blog — I’m thrilled you’re visiting with me today! Each week, I try to share parts of my life with you in hopes of striking a chord in some area of your gift of life, that may bring us both joy. For example this past week was filled with questions I had about a specific direction I was in doubt about taking with my novel, That Melvin Bray. So, I muddled over it for a few days and then I got bogged down and even more doubtful. By the end of the week, I had accomplished very little, was quite disappointed in myself and still in the dark. Over the weekend, I came to the conclusion that I was so busy being the bossa’ me, that I had totally left God out of the equation. I was so in charge and going full steam ahead — I’m so smart! Well, God let me know, I couldn’t do it without Him— SURPRISE—That’s why I got nothing done. Nada, Zip, Diddly Squat, Zero. WAAAAAA!! I know better, because I’ve done this before. When will I learn? — Oh lordy!! When we’re ready to listen, God will provide for us, He’ll take our fears away and show us what He can and will do in our lives. By the same token, He will also teach us obedience. He allows us our free will, right? Ya know, that’s one thing (and I’ve told you guys this many times before), that I wish He wouldn’t do; however, this is how we learn to trust in Him, and until we learn this lesson, we will continue to suffer, needlessly. “God only gives three answers to prayer: 1. “Yes!” 2. “Not Yet” 3. “I have something better in store for you.” (author unknown). Many of us have run across this statement before, and this wisdom couldn’t be closer to the truth. God always keeps His promises according to His purpose for us and God provides in accordance with these promises. It’s in the Bible, Psalm 89:34 “No, I will not break my covenant; I will not take back one word of what I said.” But sometimes in the noisiness of our everyday lives, we have trouble hearing what He’s saying to us. In order to fully embrace God’s provisions, we have to listen to what He’s saying. There are five things God will provide when we’re ready to listen. We all need the encouragement and support of our family members, friends and loved ones but it’s not always easy for us to receive it when we’re going through a rough period or doubt that we deserve it. But fear not. Deuteronomy 31:6 says “Be Strong and courageous. Do not be afraid or terrified because of them, for the LORD your God goes with you; He will never leave you nor forsake you.” Encouragement from God is always genuine. Whether you’re dealing with the betrayal of a family member, a cheating spouse or fearful of a new chapter in your life, know that God will encourage you. No matter what you’re going through, He never gives up on us and His love never fails. Just be still and listen to Him. Whether you’re single and open to love, or involved in a committed relationship, God wants your relationship life to be healthy. On your relationship journey towards your prince (or princess) charming, many of us will meet a lot of frogs, people who don’t have our best interests at heart and that’s ok. God is with you every step of the way. If you’re struggling in your relationship or not finding a match, remember this verse taken from 1 Peter 5:6-7 “Humble yourselves, therefore under God’s mighty hand, that He may lift you up in due time. Cast all your anxiety on Him because He cares for you.” While you can’t control the timing of love, you can lift up your concern’s and He will answer. You just have to be open to the idea that it may not be the answer you’re looking for. But whatever the answer is, it involves health and prosperity. God will provide you with a financial breakthrough when you’re ready to listen to what he’s telling you. There are many indicators to this promise in the Bible. We are told that we will not lack anything that is needed. Psalms 34:9 says “Oh, fear the Lord, you His saints! There is no want to those who fear Him. The young lions lack and suffer hunger; but those who seek the Lord shall not lack anything good.” If you’re struggling in some form financially, know that God will take care of your every-day-needs and when you’re ready to take the necessary steps to change your financial situation in order to have a breakthrough, He will walk along side you. Seek Him and He will provide. When we’re truly ready to Listen Up, that’s when God shows us His deep love for us…because we’re showing Him that we love Him, respect Him and we do know that He’s the bossa’ us. And don’t tell God you have a big problem, tell your problem that you have a BIG GOD!! This week, my prayer for all of us is that we’ll simply stop, pray and listen to what God is telling us. I’m the worst at praying like crazy for incredible miracles, but can’t wait five minutes for God to answer me. Gimme a break! I’m serious— I’ve many lessons to learn in the “have patience and wait on the Lord” department. Oh goodness, I would be so lost if God didn’t love me so much and I need prayers from all of you! Amen. *A special Thank You to “Beliefnet/Inspire Your Everyday”, for their contribution to my Blog today. This entry was posted in Uncategorized on August 21, 2017 by Author Margaret McBride. Welcome to my Monday Blog, my Friends and I hope you all had a wonderful weekend filled with all that makes you Joyous! OK, first off, I’m in no way dissing the tremendous challenge our incredible teachers face every single day in the public school systems across this great country of ours. However, I can personally attest to the fact that in the over fifty years since I graduated from high school, there’s not a whole lot which has changed. Not really. For example, the curriculum is what it is in the public school system and everyone is required to follow it…just as it was in my day, my children and now their children. Frankly, in High School, I was so bad in French class that Mrs. Faircloth (in her tiny but mighty voice) suggested I drop French altogether and replace it with a subject more suitable to my learning ability (or was that dis-ability). Anyway, Hallelujah!! To this day, my French vocabulary consists of counting 1-10 and Bonjour. I struggled with any language other than my own, and sometimes I even struggle with that one, as well. Oh, my dear Mrs. Faircloth stayed late with me many days and worked extra hours with me in an attempt to see me succeed in her class. When it became clear to her I was not wired for that beautiful language she, herself, spoke so fluently, she never left me behind…in fact, she helped me find another subject which suited me better— I think it was Home Ec. Yes, Home Economics….oh, that was way easier than French and much more my style; however, I distinctly remember the required “Blouse Project” each student had to make on their own before Christmas break. When I was finished, my lovely garment had three extra button holes…Ooops! This dear teacher didn’t leave me behind either and she worked with me until we finished that blouse with the correct number of buttons!! I DID IT — (WE did it). Some schools are better than others and some teachers are better than others, and that’s just a fact. 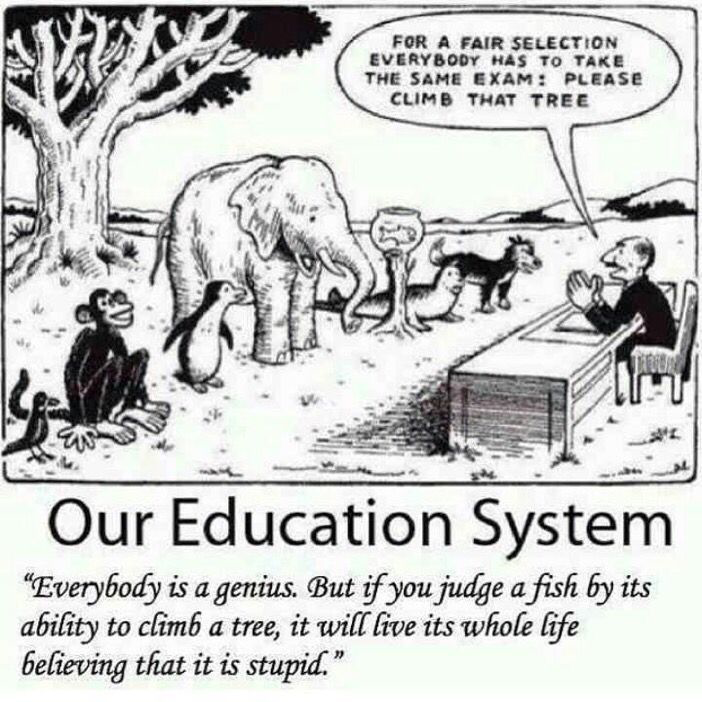 The bottom line though, is that every child is gifted, regardless of the school and or the teacher and each and every one deserves the very best our system has to offer. There are no two exactly alike —even identical twins are unique unto themselves, separate of each other. I believe each child deserves to be treated with respect and dignity…just as their teachers and guides expect of them. It’s amazing what children can do, achieve and grow into, when they’re made to feel cared for and appreciated. It’s okay to not have all the answers all the time—what’s NOT okay is to not have the chance to be all that one can be, no matter what age, any time. Children are so impressionable…so real and so wonderful—they deserve the very best we can give them no matter what the situation. This week, should we have the opportunity, let’s observe our younger ones, all ages. We’re ALL teachers, so let’s pay attention to them—Be there in the moment with them and acknowledge them…even PRAISE them. When we hear, “I’m Just A Kid”, remember, that’s very special! Oh, and one more thing…PLEASE PRAY FOR ALL THE TEACHERS, EVERYWHERE! P. S. Have you ever been to the Garden of Hope? Something is always Blooming — Look around. This entry was posted in Uncategorized on August 15, 2017 by Author Margaret McBride. What’s Wrong With Just Being YOU?! Hello, Everyone—It’s Monday Blog time —WELCOME!! Each week, I come here and spend a bit of time just talking…mostly about ME and what’s going on in my Life, right? So today, let’s talk about YOU and me. As I’m reading these two definitions, I see in #1, the word you as it is used in a sentence, posed as a question—very appropriate for my blog title today. He asks, “Are you listening? Translation: When we do something, anything, long enough, it can become real; whether it is or not. We can get used to it. Sadly, this may not be a good thing. I’m certain. What do you do? Well, like me, you may just start pretending. Now this may work in some instances, but in my case, it did NOT cause my Daddy to stop drinking, it did NOT allow my Mother to quit work and stay home with her children, it did NOT provide anymore income so that my family could enjoy more than the bare necessities to live on; however, it did allow me to function with some gumption and not act as a pitifully insecure child. Pretending did not change ONE thing…but ME. It did help me a lot, however, to rise above myself and actually gave me a sense of self I didn’t have, before I started my new life as “The Great Pretender.” Again, however, I am not advocating living anyone’s life but YOURS! Fast forward to my early twenties. I had grown so comfortable in my pretend new skin that I didn’t see the world as it really was. Seriously. And when I did get harsh glimpses of the real world, I just turned my psychological channel to another station…one with bright colors and nice people. Quite fake, actually, totally. Not in the REAL world. I don’t recommend this to anyone. Because of this, I made some mistakes which, of course, in hindsight, I can honestly say, were nothing short of totally stupid. Gimme’ a break—What was I thinking?! I wasn’t—I was pretending!! I had lived for so long in a make-believe world because I didn’t feel “good enough” just being me, that one day I had to break out and run in the opposite direction! Trust me, for a while I must have felt like my daddy…he would say, “I cant stop drinking because I don’t know how to live any other way.” I had become so uncomfortable as the pretend me, that I had to do something drastic. I had two worlds going and could not live happily in either one. Do not do what I did. It’s never too late to be YOU…of this, I am certain! 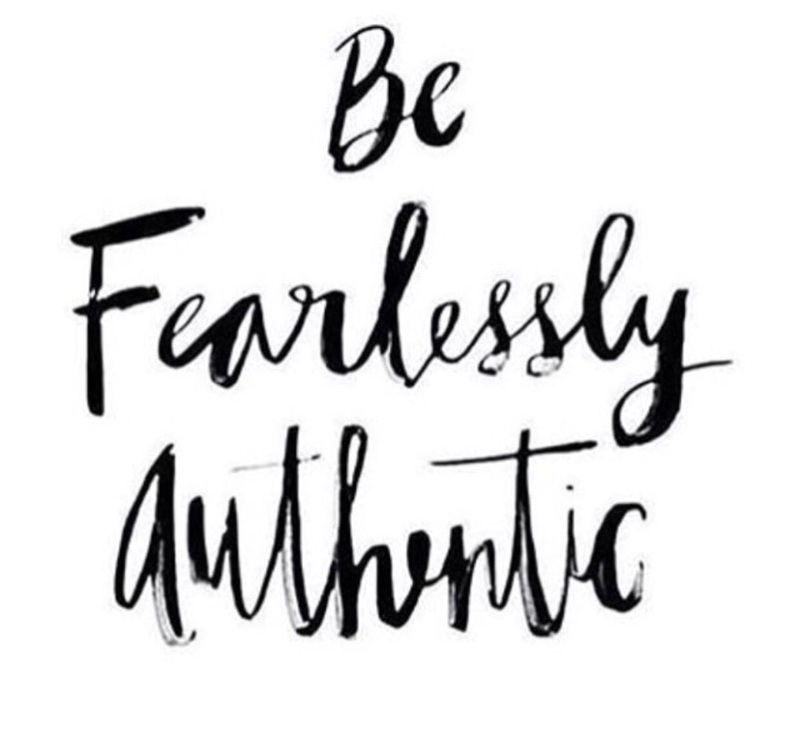 BE FEARLESSLY AUTHENTIC – Admit to yourself all the wonderful things you are. No, really, YOU ARE WONDERFUL—Just do it!! This week, let’s all consider our actions. Do we lift others up or do we pull them down? Are we too busy to feel for others less fortunate? This is so important! Our desire should be to make everyone around us comfortable in there own skin and at the very least, be kind and thoughtful. No one should be made to feel the need to pretend they’re anything other than the wonderful person God created in them. God is Good! God’s Great!! Always!!! This entry was posted in Uncategorized on August 8, 2017 by Author Margaret McBride. It’s All About The FAITH!! It’s Monday Blog time again—Welcome!! Belief detached from the truth is not faith. Believing in what is not from God, not true, believing in “the word of your own imagination”, or even the “word of Satan”, is deception pure and simple. Calling this deception “faith” does not make it so. Seriously, let’s all pray about this and if there’s any doubt about what our responsibility to God is, we better get it right, because our Eternity is based on our FAITH and TRUST in Him—it’s not the other way around. God is good! God Great!! Always!!! *A special Thank You to: Bible Studies/Act 17:11 (for portions of my Faith series today). This entry was posted in Uncategorized on August 1, 2017 by Author Margaret McBride.